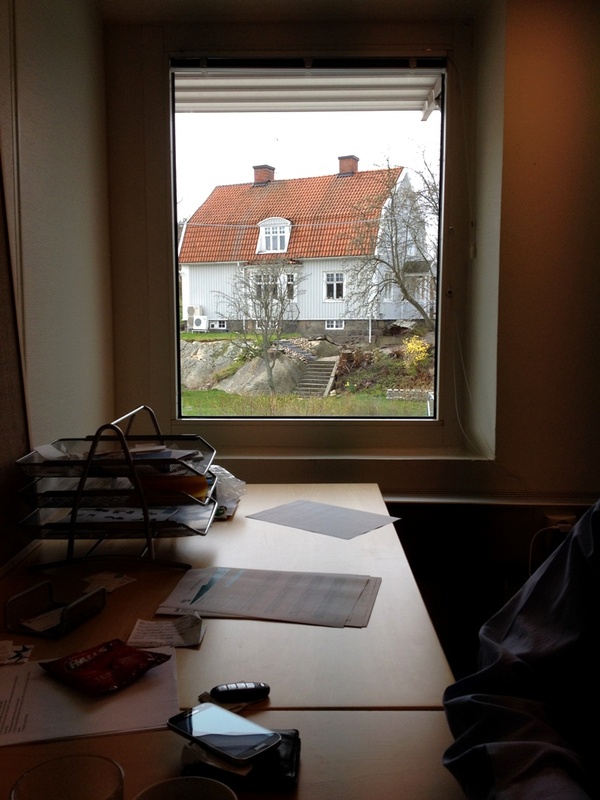 The whole reason we're here in Sweden is for Steve's work, and normally I don't talk too much about it, but here is the view from his office. Everybody gets a window office. The kitchen is in an atrium area that gets a lot of light. 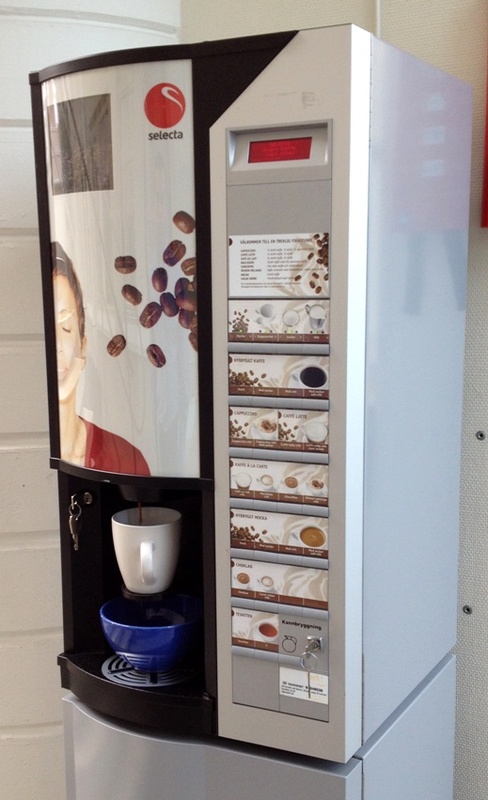 This is their coffee maker... You just push a button and get a coffee, latte, mocha, cappuccino, or hot chocolate. Swedes drink a lot of coffee, and fika is part of their workday schedule, so it's important to have a great coffee machine. I think I should move there!